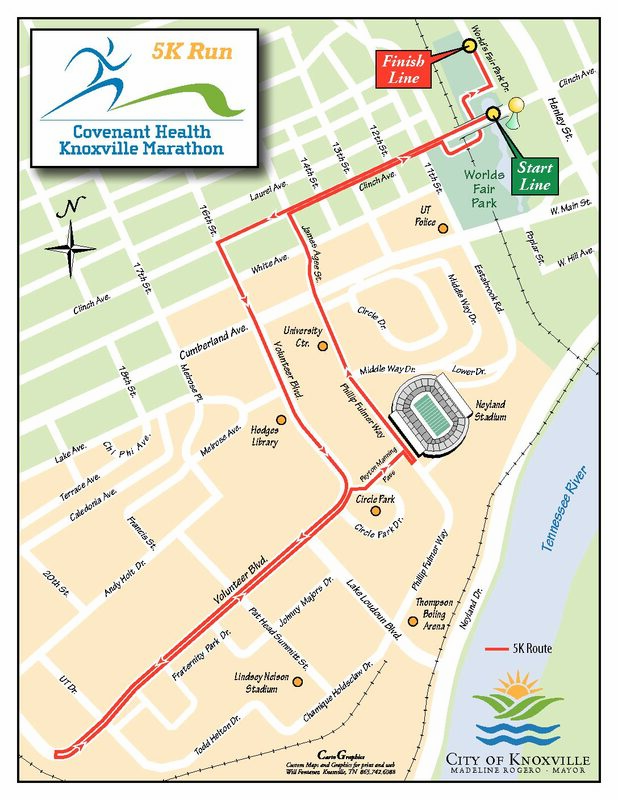 All routes for the 2019 Covenant Health Knoxville Marathon event will be different than previous years. Please note, the race events including the 5K and Kids Run will take place on Saturday. 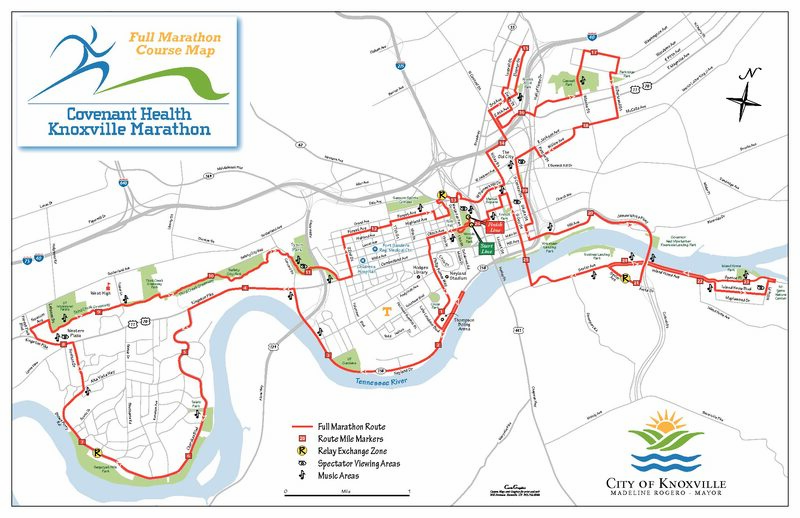 A preview of the routes are below, followed by links to all routes and turn-by-turns.